Several cameras have been used to create the images on this website. For the earliest images, I used a self-built rotating panoramic LarScan camera. Michel Dusariez used to self-publish a book detailing experiments in constructing rotating cameras, including the LarScan design. This book is a superb resource for anyone thinking about building a rotating panoramic camera, and was the inspiration behind my own camera. 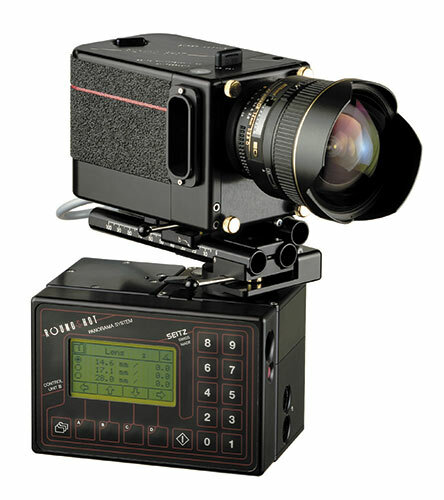 Bob Erickson also describes Larscan cameras in detail on his site. In addition, I have used two dedicated linear or photofinish cameras, one I have scratchbuilt from Lego ® which takes 120 or 220 film, and the other which I have assembled around a 250 exposure film back for 10 m lengths of 35 mm film. I have used the long-roll camera for processions and parades. 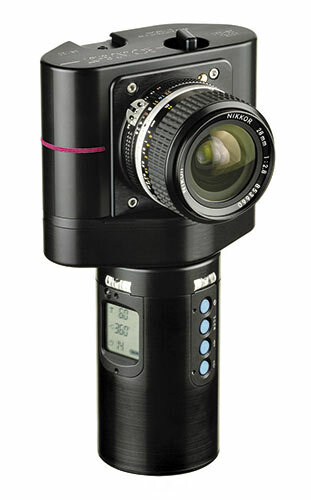 Now, I primarily use Seitz Roundshot film panoramic cameras, the 28-220 and the Super 220 VR, for rotational and linear panoramas (note that these cameras are no longer in production as Seitz concentrate on digital cameras). I have written a review of the 28/220 for the journal of the International Association of Panoramic Photographers - please email me at gareth tickpan.co.uk for a copy if you are interested in learning more about this camera. For the wide-view images, I have used a Tomiyama Art Panorama camera which produces images 17 cm wide on 120 film. The cameras are not available any more, but offered the choice of 6 x 17 cm and 6 x 12 cm images by use of masks and were able to use any large format 90 mm lens. Similar cameras are still available from Linhof and Gilde. The original inspiration for my experimentation with slit scan imagery is Andrew Davidhazy's work. I am a member of the International Association of Panoramic Photographers and their website has a number of guides and useful links. Books that cover general panoramic photography as well as digital stitching which are currently available are "Stretch: The World of Panoramic Photography", ISBN 288046692X, by Nick Meers, "Panoramic Photography", ISBN 0715319620, by Lee Frost and "Panoramic Photography: From Composition and Exposure to Final Exhibition", ISBN 0240809203, by Arnaud Frich, though copies of Joseph Meehan's earlier book, "Panoramic Photography", ISBN 0817453482, can be found secondhand. I am happy to give talks on panoramic imaging to photographic societies in South Eastern England, please contact me for details. Labs that will process and print panoramic films can be hard to find, so I thought it may be useful to list the labs that I have used. Stockport Colour Lab (Rayner House, 23 Higher Hillgate, Stockport, Cheshire SK1 3ER, 0161 4747866) offers processing and printing of Horizon, Widelux and XPan C-41 films as well as those from 6 x 12 cm cameras. Digitalab offers processing, scanning and printing of Horizon, Widelux and XPan C-41, E-6 and B/W films.